You are an exchange student? You have just arrived in Germany? You are sick of carrying around a dictionary all day? to make your everyday life much easier! 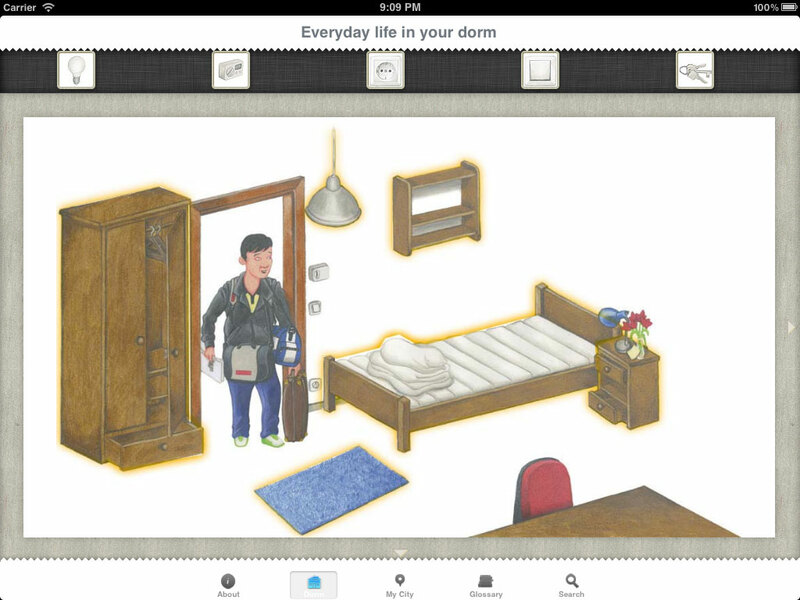 The app adapts the illustrated dorm dictionary’s lovingly drawn style and shows typical everyday situations in a student’s life. Select one of the highlighted objects in the picture to get the German name, together with a translation in English and Chinese. Most dictionaries use phonetic transcriptions to tell you how to pronounce words correctly. 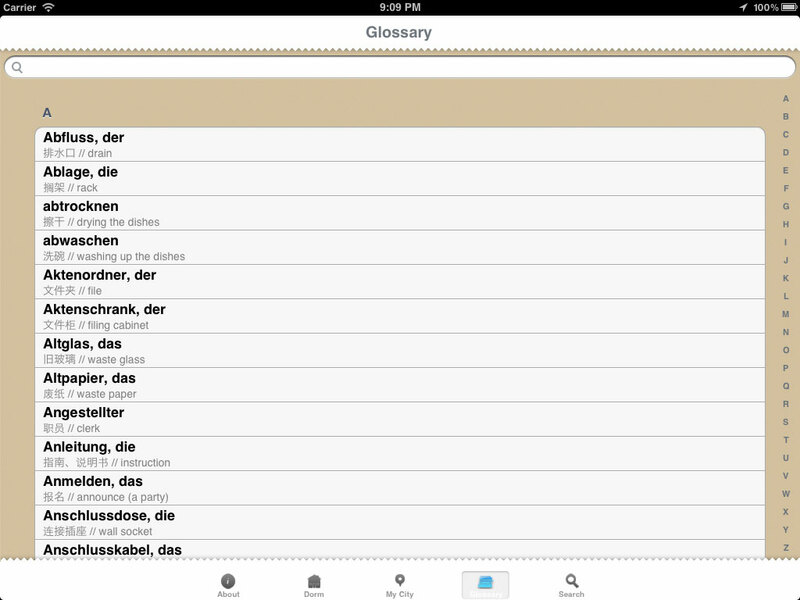 To teach students the proper pronunciation in a much easier way, each German translation is also available as an audio file that can be played on your Tablet or Smartphone. 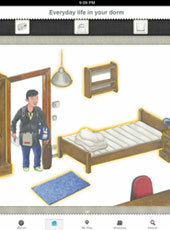 The illustrated dorm dictionary is completed by a glossary including the translation of another more than 300 useful words and sentences. 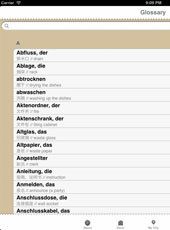 It includes the German, English and Chinese terms, and once again an audio pronunciation in German is available on request. In particular, those who just arrived in Germany from a foreign country need help to find their way easily around their new hometown. This feature provides some important, non-town related contacts and phone numbers that can make an exchange student’s daily life much easier, e.g. 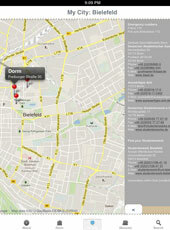 emergency numbers and a map with your current location. 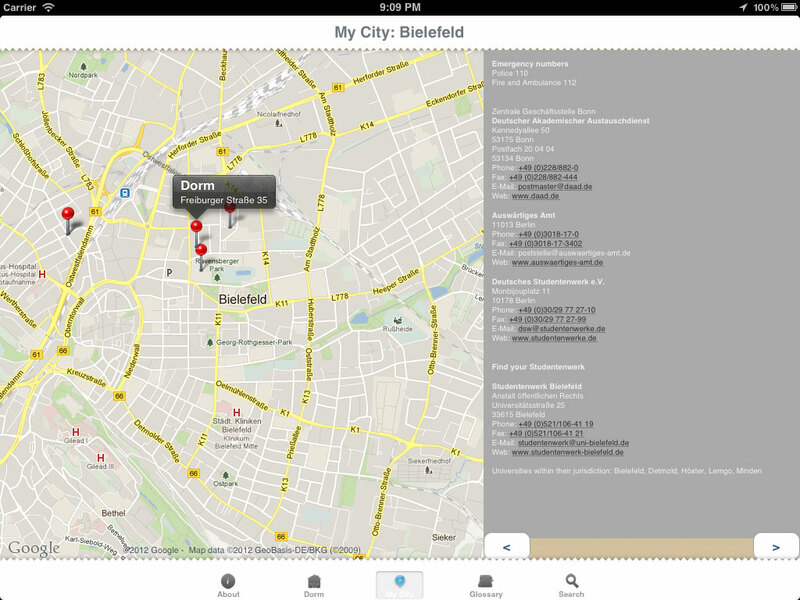 The Application has been developed during the course “Vorsicht, Mobile Marketing!” at Bielefeld University and is available for Android and iOS for free. The aim is to support exchange students after arriving in their new university by providing a digital dictionary. 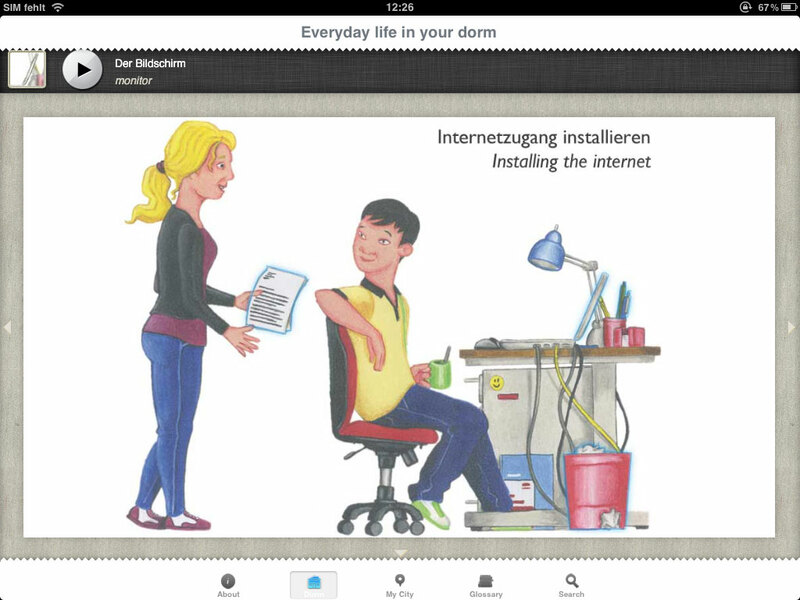 The concept is based on the “Illustrierte Wohnheimwörterbuch” (illustrated dorm dictionary), a project within the “PROFIN” program and funded by the German Academic Exchange Service (DAAD), which was published by the Studentenwerk Bielefeld in 2010 and adapted by the German National Association for Student Affairs (Deutsches Studentenwerk).